The Blavatnik Family Foundation has pledged $10 million to Stanford Medicine for the training of graduate students in the biomedical sciences, increasing the pipeline of talented young researchers. The Blavatnik Family Fellowship Fund at the Stanford University School of Medicine will support Ph.D. fellowships that allow young scientists enrolled in the Stanford Biosciences to pursue investigative directions that inspire their creativity and passion. The fund will support five Blavatnik Fellows a year in perpetuity and builds upon a previous $2 million Blavatnik Family Foundation commitment to assist Stanford bioscience graduate students in their research. In the conventional funding model for bioscience graduate education, students often must join the laboratories that have funding—not necessarily labs that are pursuing research that speaks to their own investigative interests. 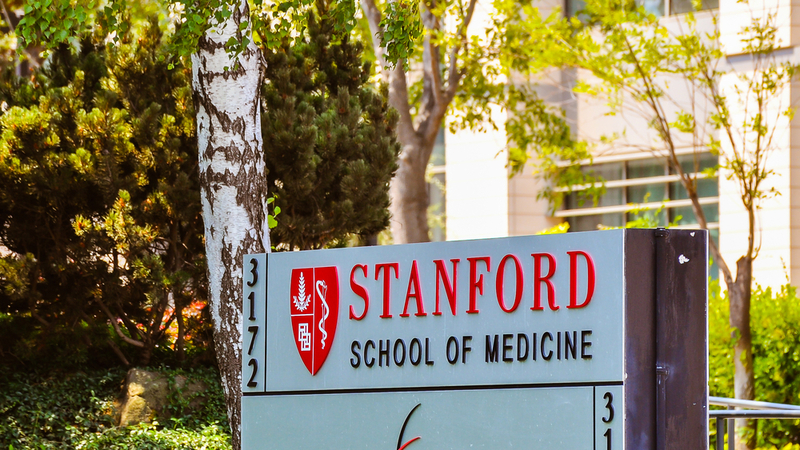 To combat the dampening effect this has on the innovation and independence of talented young scientists, Stanford Medicine, through its Biomedical Innovation Initiative, guarantees a full four years of funding to every incoming biomedical graduate student. This commitment has yielded demonstrable benefits at Stanford Medicine, the school says. The number of incoming students who accept admission has risen from around 50 percent to the mid-60s range, and the initiative also has aided the school's goal of diversifying the student body, it says. The Blavatnik Family Fellowship Fund will build on these successes with the first endowment funds raised for the program, which will secure financial support for five fellowships permanently. The Blavatnik Family Foundation supports educational, scientific, cultural and charitable institutions worldwide, as we've reported. Among the foundation’s programs are the Blavatnik Awards for Young Scientists that support early career scientists and engineers in the U.S., U.K. and Israel. Unlike awards that honor scientists late in their careers, the Blavatnik Awards aim to identify and encourage promising young scientists early in their careers, when they are most in need of funding and recognition. The intense competition for funding presents a growing challenge for scientific researchers—those who receive financial support are in a better position to bolster their early research efforts and are more likely to identify solutions to the most complex scientific questions and to some of society’s most pressing problems. A range of other donors also prioritize supporting early-career investigators, as we've often reported. To date, the foundation has contributed hundreds of millions of dollars to more than 250 institutions worldwide. The foundation was established by Len Blavatnik, a global industrialist and philanthropist. He is the founder and chairman of Access Industries. The recent gift to Stanford reflects Blavatnik’s particular interest in bankrolling scientific research at colleges and universities. In May of 2018, Blavatnik gave Yale $15 million to expand the Blavatnik Fund for Innovation at Yale. First established in 2016 with a grant of $10 million, the fund advances entrepreneurship in the life sciences at Yale and expedites the development, application and commercialization of breakthrough research. The new grant will build on the fund’s early successes in bolstering translational research and propelling the work of investigators toward the marketplace.